The cartoon-based Jetsons and their fantastic technology have arrived and taken our everyday lives by storm. The Consumer Electronics Show (CES) of 2016 showcased next-generation smart home automation technologies - apps, gadgets, and systems - that bear an uncanny resemblance to the futuristic tech first imagined by the creators of the Jetsons. Only, it's not science fiction or virtual reality. We call it the Internet of Things (IoT), and it is the cornerstone of every smart home automation system. 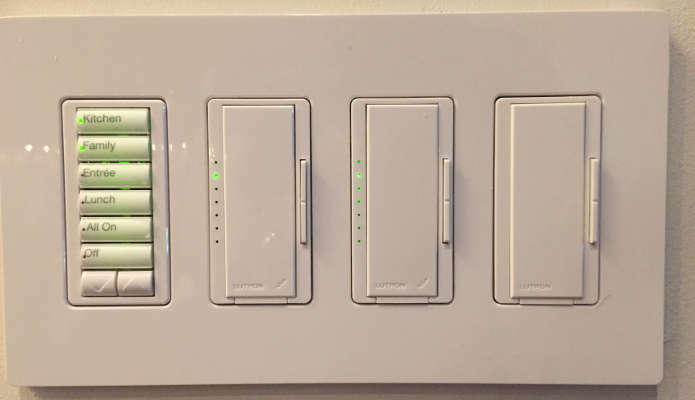 Trust the modern-day electrical experts at Pullin Electric to bring you and your home into the 21st century with a custom-designed IoT smart home automation system perfect for your lifestyle. Integrate your regular home tasks and have ambient air temperature, lighting, appliances, access and security automatically prepared for your arrival or departure at the sound of your voice or the click of a button. With over 35 years of experience dedicated to cutting-edge electrical technologies, Generac backup power generators, and extraordinary service for homeowners and commercial clients, Pullin Electric offers licensed, skilled professionals with the electrical service expertise you need to tap into trending smart home automation technologies. Contact Pullin Electric today to learn more about the money-saving conveniences you will recognize when you step into your very own smart home.